There’s going above and beyond, and then there’s Megan Frankenberger. A John Carroll junior with global aspirations, Megan is an undergraduate honors student pursuing a double major in political Science (with a concentration in Global and Foreign Areas) and Communications (with a concentration in Communication Studies), with a double minor in Spanish and Hispanic Studies, and Peace, Justice and Human Rights. On top of a comprehensive academic course load, the Greece, NY native is also a member of four organizations including Student Union, where she serves as a senator; Kappa Delta, her sorority; the JCU Speech and Debate Team, where she serves as president; and Order of Omega, where she is president of the Upsilon Rho Chapter. Her resume also boasts roles on 10 committees, societies and advisory boards. “I often joke that the best time to see me is when I’m running from one event to the other,” she said. 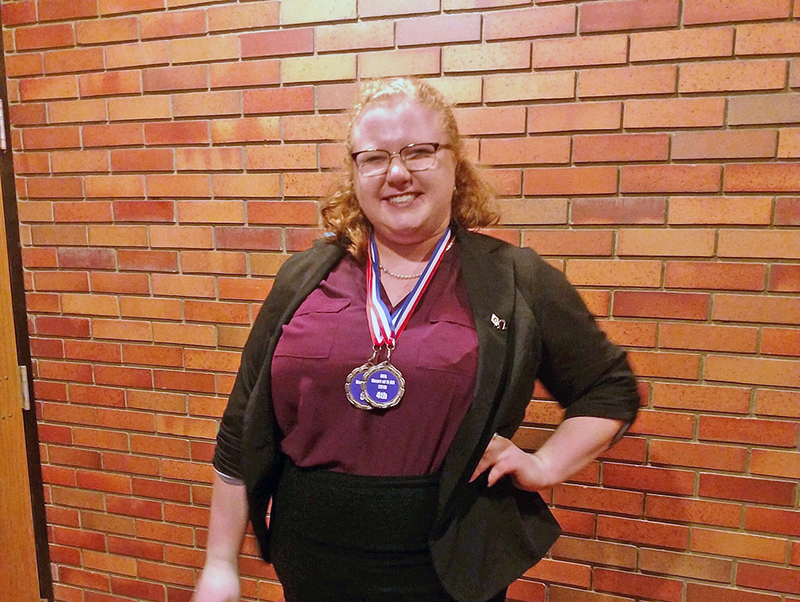 Known as “Mom” by her Speech and Debate teammates, Megan runs the group’s twice-weekly practices and mentors underclassmen, often foregoing her own practice in favor of coaching her peers. Her impact is felt beyond campus as well. As a freshman, she traveled abroad on a faculty-led trip to Berlin. Last year, she studied abroad in Denmark and Sweden. In May, she’ll make a two-week trip to Ireland as part of the JCU Ireland Peacebuilding program. Q. Why did you choose John Carroll University? I went to Aquinas in Rochester and we did a Jesuit Excellence Tour. That was my first experience with John Carroll. I looked at about 20 colleges. When I visited here, I just knew. I actually visited John Carroll three times before I committed just to meet different people, get different opinions and I felt at home here. Overall, the programs lined up with my short term and long-term goals. Q. Do you still have the same goals today that you did when you were looking at schools? My goals have shifted a little bit, but overall they are the same. I want to go to grad school and I want to work in politics in some way. I considered campaign management or even running for office myself, but I’m actually more intrigued by foreign affairs and global studies now. I was able to study abroad last year. 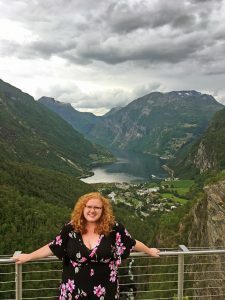 I spent time in Denmark and Sweden and then traveled in Europe. I took courses in counterterrorism, which is cool to say. Q. You have a significant course load. Was that part of the goal? Coming in, I knew I wanted to study political science and communication. A lot of people run from it, but I knew that bureaucracy and government is what I wanted to do. Communicative theory would be helpful too. I took Spanish in high school and I was pretty good at it, so I figured why not add that as a minor. My second minor is Peace, Justice and Human Rights. That’s new as of last semester. I’m a Type-A, scheduler type of person and it fit into the plan. Q. 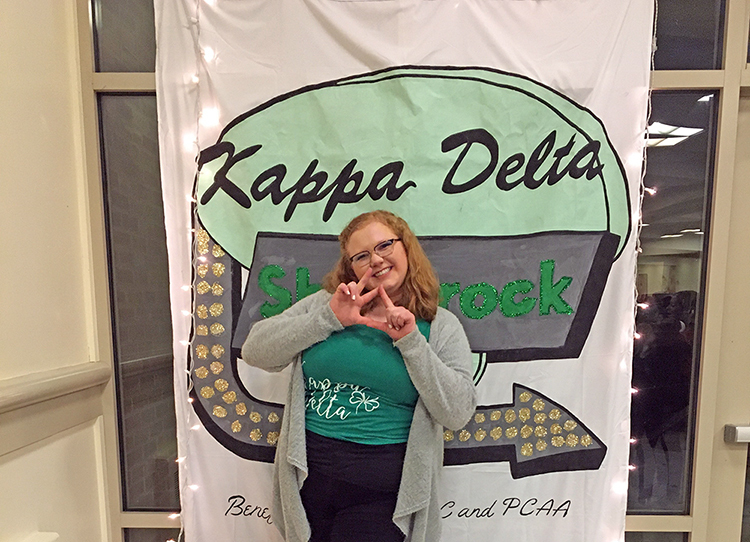 How did you end up in Kappa Delta and Order of Omega? I was open to the idea of Greek Life. I signed up for recruitment, but I ended up going to a Speech and Debate Club tournament. In the end, they didn’t get the numbers they needed and so there was a second, informal recruitment. I got my bid and joined Kappa Delta in the fall of my freshman year. I was on council as an underclassman and I was encouraged to apply for Order of Omega, where I became president. Order of Omega is a selective honors society that recognizes the top three percent of men and women in Greek Life on campus. They mandate that only two members of each chapter can apply for the Daisy Wood Scholarship, which I was fortunate to receive. Q. Can you possibly add more to your busy schedule? Well, I’m a newly inaugurated senator for Student Union. I was selected for the constitutional review committee and the senate affairs committee. I’m very involved with my own sorority. I’m president of the JCU Speech and Debate team and I run practices for four hours per week. I mentor the younger members of the team. Last year, I won three awards at national championships. I also work in the library on campus, which I really love. I’m trying to enjoy every minute. Q. Is all of your work and activity building toward a dream job? I’d like to take some time after I finish my undergraduate degree to work in international affairs and make sure I can help people. Honestly, though, I’d like to go to graduate school. Q. What do you tell people when they ask you about John Carroll? 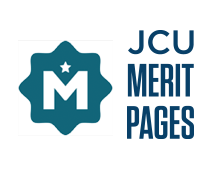 A lot of the opportunities that I’ve had are unique to JCU. The professors here have made an incredible influence on me as a student and on what I will do when I graduate. There’s something to be said for a school with community and a sense of family. My high school had that and I was looking for that. As much as the real world can be scary, I wanted to find a place where everyone belongs. John Carroll is a place where, if there’s something you really want to do, someone on campus will support you and help to make that happen. Everywhere I turn there’s a new opportunity. It’s easy to be involved.